Dr. Paul Appleton completed his PhD at the University of Bedfordshire and is currently a Research Fellow in the School of Sport, Exercise and Rehabilitation Sciences at the University of Birmingham, UK. 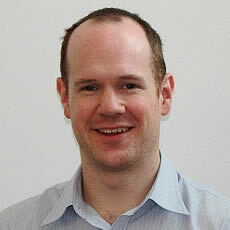 His research focuses on motivational processes in sport and educational settings and testing the Empowering Coaching™ (www.empoweringcoaching.co.uk) family of education programmes. He has published his work in the leading journals in the field, and has presented his work nationally and internationally. Prof. Dr. Samuele Marcora received his Bachelor in Physical Education from the State University of Milan (Italy). He then studied for an MSc in Human Performance at the University of Wisconsin-La Crosse (USA), and for a PhD in Clinical Exercise Physiology at the University of Wales-Bangor (UK). 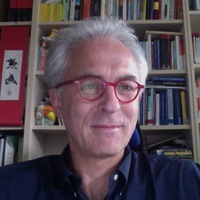 After a successful academic career at Bangor University, Professor Marcora began his post as Director of Research at the University of Kent at the end of 2010. His role is to stimulate, coordinate, monitor and assess all research activity within the School of Sport and Exercise Sciences. In 2006, Professor Marcora changed his research direction and decided to integrate exercise physiology with motivation psychology and cognitive neuroscience. This psychobiological approach has generated several innovative studies including the effects of mental fatigue on endurance performance and brain training for endurance athletes (Brain Endurance Training). Professor Marcora had been research consultant for MAPEI Sport Service in Italy where he contributed to highly cited research on football and mountain biking physiology. Prof. Dr. Wolfgang Schöllhorn is the director of the Institute of Sport Science at the University of Mainz, Germany. With a background in physics, sports, pedagogy and neurophysiology, his research areas include dynamic systems, adaptive behaviour, learning and brain states, biomechanics, signal analysis and pattern recognition. Professor’s ongoing research involves such areas as learning as phase transition of a dissipative system and its practical applications to motor and cognitive learning, identification of movement patterns that change by themselves, and changes of brain states dependent on the movement. Prof. Dr. Priit Kaasik completed his PhD thesis “Composition and turnover of myofibrillar proteins in volume – overtrained and glucocorticoid caused myopathic skeletal muscle” in 2004. Also he has been the head of the Institute of Exercise Biology and Physiotherapy since the same year. 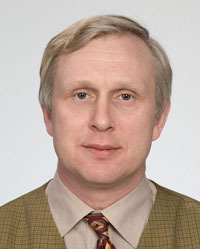 Prof. P. Kaasik has been Professor in Functional Morphology and the Dean of the Faculty of Exercise and Sport Sciences at the University of Tartu since 2013. Prof. P. Kaasik’s research field includes the adjustment processes of skeletal muscle in case of hypertrophy and atrophy, the metabolic problems of muscle protein in different functional states and the aspects connected with the regenerative potential of skeletal muscle. Professor Kaasik is a member of the Federation of European Physiological Societies, the Estonian Olympic Academy, the Baltic Laboratory Animal Science Association and a board member of the Estonian Basketball Association. 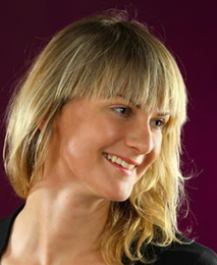 Dr. Ieva Kundzina completed her PhD thesis “Physical recreation to improve the well-being of 45-55-year-old people” at the Latvian Academy of Sport Education in 2015. Since 2012 Ieva Kundzina has been the president of the fitness study “Vingrosev.lv”. Since 2009 she has been working at the Latvian Academy of Sport Education as an assistant in the Department of Anatomy, Physiology, Biochemistry and Hygiene. The courses taught are Anatomy and Dynamic Anatomy. Assoc. Prof. Dr. Marius Brazaitis defended his PhD thesis “Effect of temperature and acclimation on the structure of the expression of the motor system fatigue” in 2009. At present he works at the Institute of Sport Science and Innovations, Lithuanian Sports University. His research interests include temperature manipulation and prevention, clinical application, complex systems, peripheral (muscle) and central fatigue. Now Assoc. 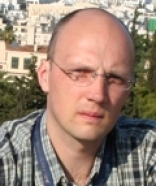 Prof. Dr. Marius Brazaitis heads the research group “Ambient Temperature” and is involved in the preparation of three doctoral dissertations.